Effective May 1, 2015, we are reverting to our original name: Restless Legs Syndrome (RLS) Foundation. Our website domain will return to www.rls.org. Our social media, publications and correspondence will also reflect the original name going forward. 2. Why is the Foundation making this change? Feedback from members, healthcare providers and scientists reveals that restless legs syndrome is their preferred term for the disease. Despite consensus achieved two years ago for adopting the term Willis-Ekbom disease to avoid the misleading words legs and syndrome and to help destigmatize the disease, our stakeholders largely continue to use restless legs syndrome. Using the more familiar, widely recognized term restless legs syndrome will also best support the Foundation’s marketing, public relations and fundraising efforts. Overall, the term restless legs syndrome works best for pursuing our mission to improve the lives of individuals who have RLS. 3. What is not changing? The RLS Foundation is committed to improving the lives of the millions of men, women and children who live with RLS. Our dedication to this mission will not change. Through initiatives like our Quality Care Center Program, Research Grant Program, and educational offerings, we will continue to work tirelessly to advance RLS awareness, treatment and research. 4. What steps did the Foundation take to make this decision? In early 2015, the Foundation’s Board of Directors began discussing the possibility of reverting to the original name, in response to significant feedback from members, healthcare providers and researchers. We also received input from experts in business, marketing and public relations, who affirmed that the term restless legs syndrome will best support our activities in fundraising, growing and cultivating our membership, and increasing our media profile. 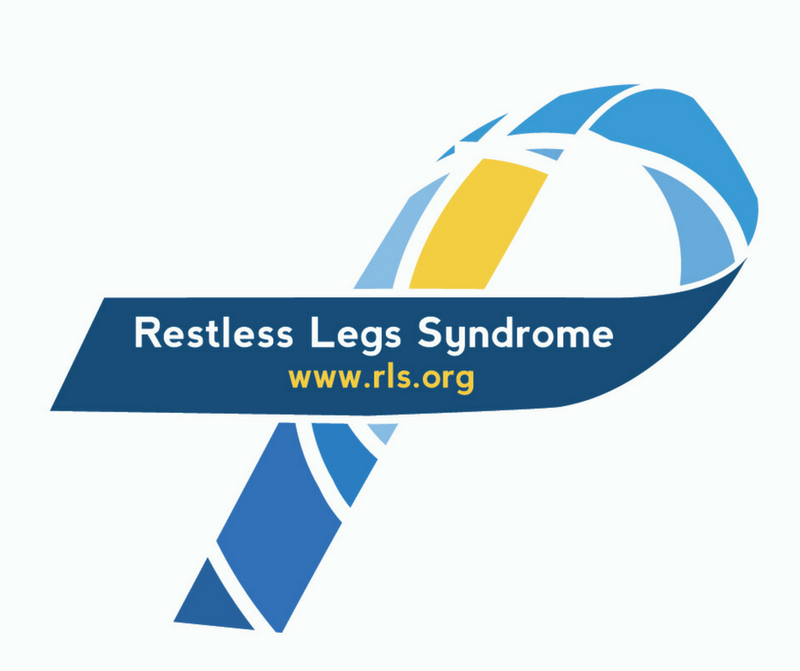 After careful consideration of how to best serve our members, the Board voted unanimously in March to revert to our original name, Restless Legs Syndrome (RLS) Foundation. 5. How will my doctor know about the name change? We will be communicating the name change broadly through a letter to individual healthcare providers who are listed in the Foundation’s provider directory, targeted communications to support group leaders and members, and a press release and announcements on our social media channels. Information about the name change will also be posted on our website at www.rls.org. 6. Will the term restless legs syndrome be used universally once again? Over the past two years, the term restless legs syndrome has continued to be used alongside the term Willis-Ekbom disease by patients, researchers and healthcare providers. Restless legs syndrome will continue to be used as a single term or in “dual use” going forward. 7. If I prefer the name Willis-Ekbom disease, can I continue to use it? The choice is yours to make on the term you prefer. Whichever name you use, the RLS Foundation will continue to work on your behalf to advocate, educate and search for a cure. 8. Will this change how and where I make donations to the Foundation? If I have a recurring gift set up, will anything be different? You may continue to make gifts as you do now, whether through our website at www.rls.org or by mail. Going forward, please make checks out to the RLS Foundation. If you make a recurring gift, your donations will continue to be withdrawn as previously scheduled. Thank you for your support! AUSTIN, Texas, May 1, 2015 – The Willis-Ekbom Disease Foundation is reverting to its original name: Restless Legs Syndrome (RLS) Foundation, effective today. The patient organization serves healthcare providers, researchers and about seven million patients in the U.S. and Canada who have restless legs syndrome (RLS). After adopting the term Willis-Ekbom disease in 2013, the Foundation is reclaiming the name restless legs syndrome to better support its mission of improving the lives of people with RLS by increasing awareness, improving treatments and through research, finding a cure. An estimated 7­–10 percent of adults worldwide have restless legs syndrome (RLS), a serious but treatable disease that can have a devastating impact on quality of life. RLS is a chronic neurological disorder that causes an irresistible urge to move the legs or other parts of the body, often accompanied by unusual or unpleasant sensations. These sensations tend to get worse when individuals are at rest—for example, when going to sleep at night or sitting for long periods of time. Because symptoms usually intensify in the evening, they can severely disrupt sleep and reduce quality of life. Several genes have been identified with an increased risk for developing the disease. Other factors under study include iron metabolism and neurotransmitter dysfunctions involving dopamine and glutamate. There is currently no cure for RLS. Mild symptoms can often be successfully managed with lifestyle changes, such as increased exercise and better sleep hygiene. In moderate and more severe cases, prescription medications can offer some relief of symptoms, and several drugs are approved by the U.S. Food and Drug Administration (FDA) for treating the disease. For more information, visit www.rls.org. The RLS Foundation is dedicated to improving the lives of men, women and children who live with RLS by increasing awareness, improving treatments and through research, finding a cure. The Foundation serves healthcare providers, researchers, nearly 4,000 members and an estimated seven million individuals in the U.S. and Canada who have the disease. The Foundation’s Research Grant Program has awarded over $1.4 million to medical research on causes and treatments. For more information, visit www.rls.org.